Imagine a large construction project – a skyscraper, for example – in a large city. If you walk by that skyscraper every day on your way to work, you’ll watch it move through many different phases, from the first steel beam to the last shrub planted next to the walkway. Hundreds or even thousands of people will be involved with that project from start to finish, each with their own specific duties and supervisors. Without a central point of power overseeing all aspects of the project, such a job could descend into chaos. That’s why companies or individuals who don’t have experience managing such large projects usually hire a construction manager. What does a construction manager do, you ask? A construction manager keeps everything under control. This person acts on behalf of the person in charge of the project, and can be as hands-on or hands-off as the project owner would like. Some construction managers are so deeply involved with a project that they will handle the hiring of designers and contractors, as well as all of the financial duties. Once work starts, the construction manager’s main goal is to keep the operation running smoothly, and see the project through to completion — on time, and on (or under) budget. 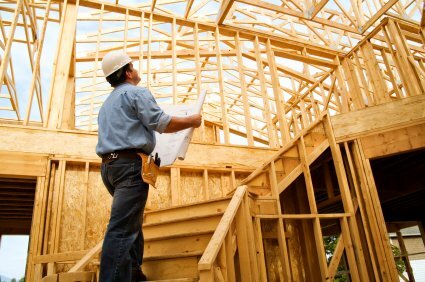 Titus Contracting is happy to offer construction and project management services for our commercial customers. We’ll keep your project on track and keep your designers, contractors, and builders on the same page. Give us a call at (952) 746-7817, or complete our online contact form to have someone from Titus contact you.